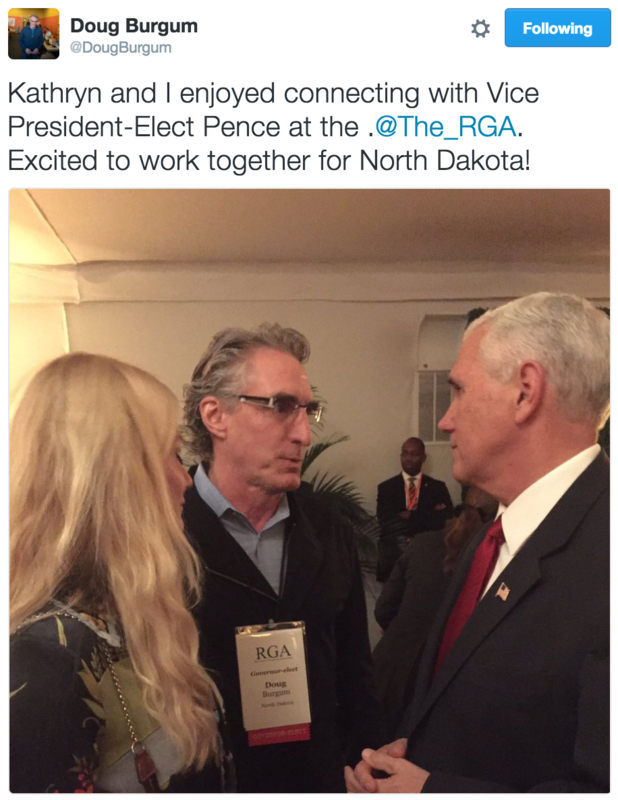 North Dakota Governor Doug Burgum talked about the top policy issues facing his state. He was interviewed from aboard the C-SPAN Bus in Bismarck, North Dakota. 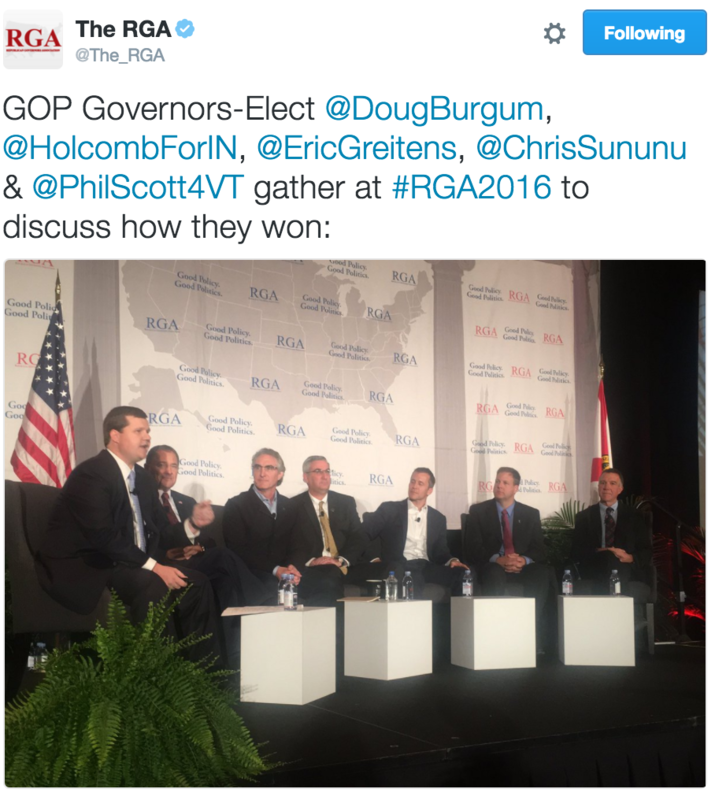 By Rich Karlgaard on June 13, 2017 at 6:00 a.m.
Doug Burgum, North Dakota’s first-term Republican governor, has a unique background in software and venture capital. The North Dakota native and graduate of Stanford’s business school invested in tiny Great Plains Software in 1983 and became its CEO, growing the accounting software firm to 2,000 employees. In 1997 Great Plains went public, and in 2001 it was sold to Microsoft for $1.1 billion. Burgum later was an early investor in SuccessFactors, which sold to SAP for $3.4 billion in 2012, and Atlassian, a Sydney, Australia cloud software company that went public on the Nasdaq in 2015. 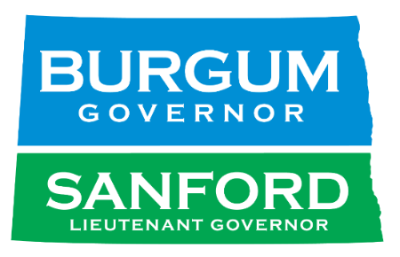 Burgum served as Atlassian’s chairman before stepping down to run for governor in 2016. Q:You grew up in a tiny North Dakota town. BURGUM:Arthur has 350 people. The family business was a grain elevator. My dad taught me that North Dakota farmers have long memories for bad service, so we worked hard to serve our grain customers. Q:How big was your high school class? Q:How did you get from North Dakota–and North Dakota State University–to Stanford business school? Q:You first met Steve Ballmer at Stanford business school. BURGUM:I got to know him very well, which is odd, because you don’t usually get to know kids in the prior class. Steve was a rock star. He’d been to Harvard, then he’d been at Procter & Gamble. He comes to Stanford and wins both the Bain and the Boston Consulting Group awards. Then he left Stanford and joined Microsoft, when it had 30 people. During my last year at Stanford, I spent the whole final quarter on a project team with Ballmer. Q:After Stanford, when was the next time you talked to Ballmer? BURGUM:It was in 1983. I’d mortgaged the quarter section of farmland my late dad had left me. I called Steve and said, “Hey, Steve, I’m thinking about investing in this software company. But I want to know if Microsoft is thinking about doing accounting software.” And Ballmer was like, “No, never. We’re not gonna do that.” I wanted to check with Ballmer before I bet every last dollar I had on a startup. Then Steve called me in 2000 and said, “Hey, remember that conversation we had in 1983? Well, we’re revisiting it.” And I knew exactly what he was talking about. Q:What got you interested in Great Plains? BURGUM:VisiCalc. After graduating from Stanford business school, I was working at McKinsey, crunching numbers for spreadsheets. One of my workmates said, “Check this out.” He hits this thing and his Apple II chugs away for, like, four minutes, and it recalculates a simple spreadsheet. I looked at that and knew it would change everything. Q:When you bought into Great Plains, how much did you invest. BURGUM:$250,000—that quarter section of farmland I’d inherited; I mortgaged it to invest. I literally bet the farm. Q:What did your family think? BURGUM:Let’s just say I couldn’t find anyone who thought it was a good idea. My grandfather had homesteaded the property, and I had mortgaged it, which meant I could lose it. Two weeks later we went to the Comdex trade show, thinking we’d be one of four or five companies. There were 64 accounting-software companies demo’ing their products. Q:Did you think you’d made a mistake? BURGUM:I felt fear. But fear is actually is a good motivator. Because when you think you’re going to lose everything you have, it can be a real driving force. Q:How did Great Plains stand out among 64 accounting software companies. BURGUM:In those early years it was really hard to achieve differentiation because the industry was so young. I mean, you’d think you were getting ahead, and then someone would come out with a new printer. All of a sudden there were 50 printers and none of them worked with your software, so you had to write a different printer driver for every one of those printers. We were constantly just playing catch up because the industry hadn’t matured in terms of APIs. It was really challenging. Q:What finally allowed Great Plains to break through? BURGUM:Two things. One, we decided to build a middleware layer that would let us write once and that program would run across the Mac, as well as across whatever Windows versions came along. We could see graphical user interfaces were going to take over. A lot of our competitors made the mistake of ignoring that, thinking they weren’t going to matter for accounting. So we came up with the idea of differentiated support, which included levels of paid support. We were the first in the industry, and it saved our company. BURGUM:We said, “If you want to wait 24 hours for us to get back to you, the price will be very low. But if you want an answer in the first hour, the price will be high.” We had a guaranteed response time. Customers loved it, and employees loved it. This foundation around customer service became our path to becoming one of the 100 best places to work. Q:Between the time you invested in Great Plains in 1983 and sold to Microsoft in 2001 were there any mistakes you regret? BURGUM:The missed opportunity was that that call-center software became an industry unto itself. Four different companies reached market caps of $1 billion before any accounting-software companies did. I should’ve figured that out. We had call support, and we had the instrumentation, the data, the analytics. But I didn’t think about productizing that. At McKinsey we had learned to stick to our knitting – to stay focused. I was focused to a fault. Q:When did Great Plains become consistently profitable? BURGUM:Not until the late 1990s. Along the way we’d achieve profitability, but then I’d say, “Okay, now let’s build our national sales force, or start working on next-gen software, or do this new platform, or create these new tools.” The year after we’d finally achieve profitability, we’d lose $6 million. My nickname became the Six-Million-Dollar Man. Q:Great Plains went public in 1997. You were North Dakota’s first public tech company. What was that like? BURGUM: Goldman Sachs led the IPO. We were priced at 16 and closed at 32.375. It was front-page news. Q:And then you got the call from Ballmer. Q:What persuaded you to sell Great Plains to Microsoft? BURGUM:Ballmer said, “I’m sending our CTO to visit with you.” We had a very far-ranging discussion about business solutions over the next 10 years, and where the company was headed. I wanted to make sure Microsoft wanted a company and its people, not just a product. Great Plains had 2,000 people: 1,200 in Fargo, 400 in the rest of North America and 400 overseas. Q:Tell us how you got to know Satya Nadella. What was he doing at Microsoft at the time? BURGUM:Great Plains was put into a Microsoft division that was very decentralized. Satya was in that group. We quickly elevated him to be our global head of R&D. You could see right away that the guy had a great future. Q:Any Satya stories to share? BURGUM:When we were traveling in India, I had a chance to meet Satya’s parents and visit the home where he grew up. His family was middle class, his dad a civil servant. His parents were happy to meet his boss from the American company, but they were very worried about his job. “How is Satya? Is he doing well; is he doing okay?” They worried about his job security. So I assured his parents that Satya didn’t have any job-security problems. Q:You left Microsoft in 2007. How did you get into venture capital? 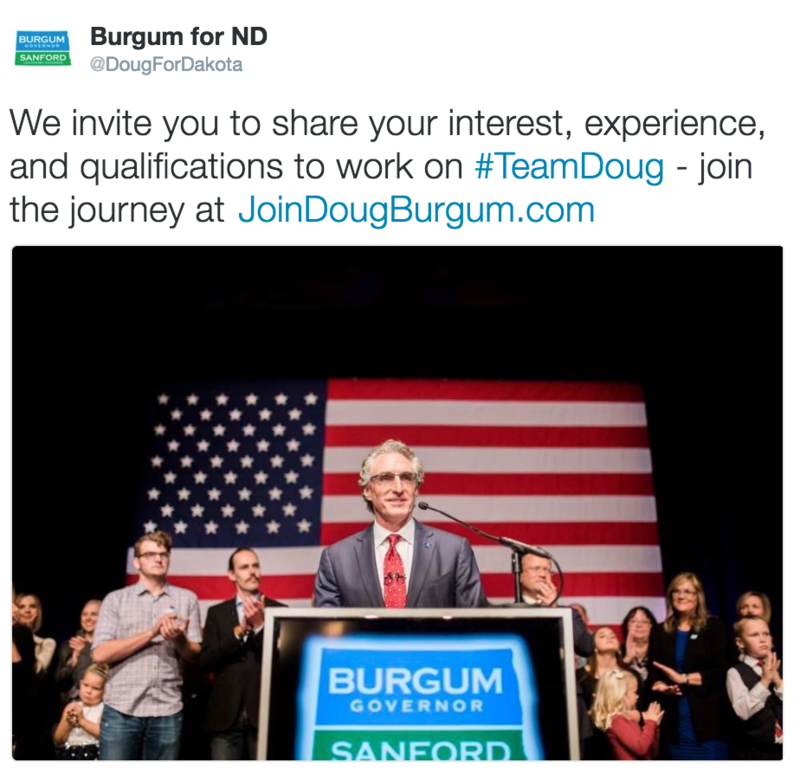 BURGUM:A friend of a friend found out I was leaving and asked if I’d be interested in serving on the board of SuccessFactors. I didn’t want to do anything that was competitive with Microsoft, but HRM software was a space that I had studied and knew was interesting. SuccessFactors could be the Salesforce.com of HRM, I thought. Q:So you joined the board? BURGUM:Only after they let me invest. I wanted to have skin in the game. Q:Then you invested in Atlassian, the Sydney, Australia cloud toolmaker. BURGUM:Yes, because Scott Farquhar and Mike Cannon-Brookes are brilliant founders and co-CEOs. This could be another Hewlett-Packard, with great co-CEOs. Most boards see a startup team with co-CEOs and decide that only one can be CEO. But these two guys decided to work together and perfectly complement each other. 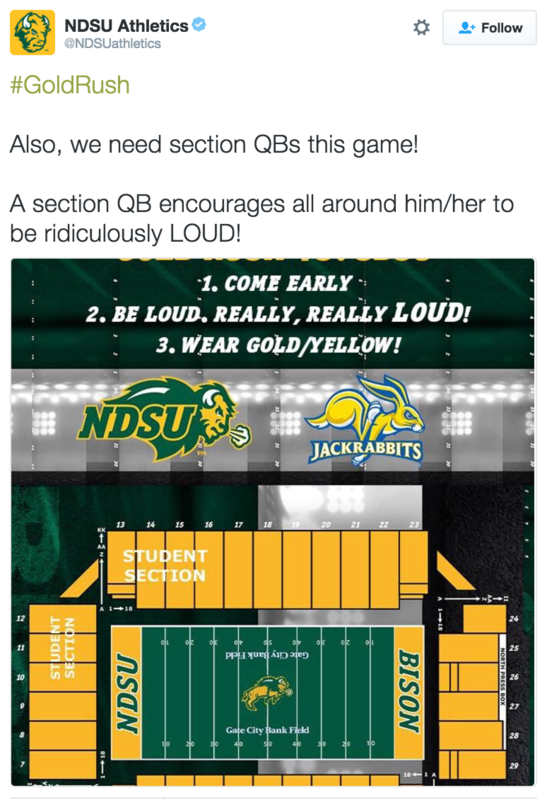 Q:How did a Sydney, Australia, company reach you in Fargo? Q:He was looking for a board member? Q:So you relented and joined the board then? BURGUM:Only after they let me invest. I joined the board as chairman. 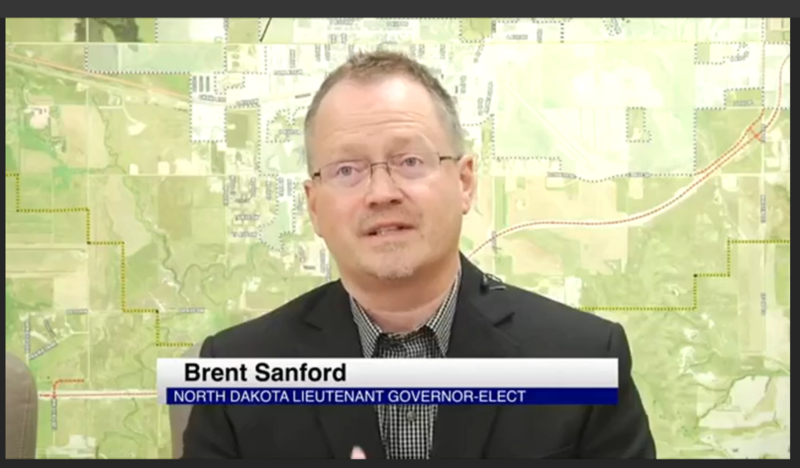 Q:With all this going on, why run for governor of North Dakota? When did you decide? BURGUM: I’d been making payroll in North Dakota every two weeks from the time I was 26 years old. I had 30 years of experience in hiring and trying to attract talent and capital back to North Dakota. 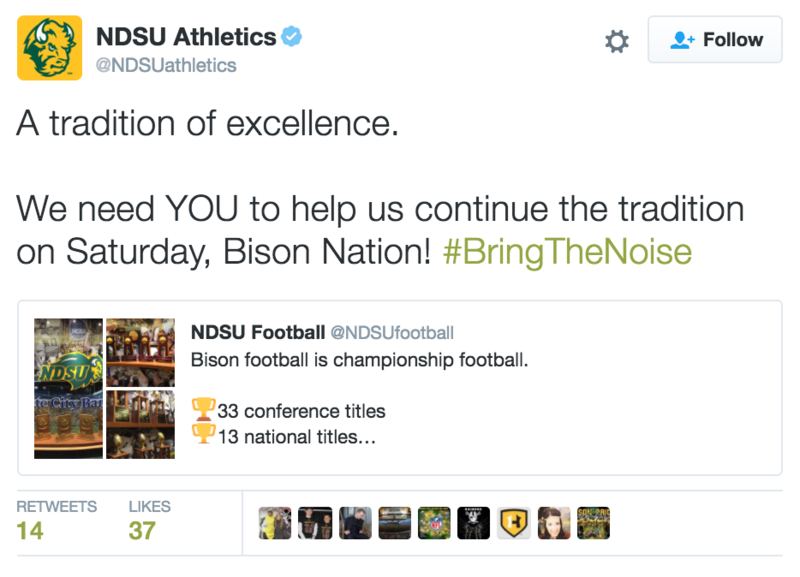 And any time someone talks about the future of North Dakota, what are the challenges? Where do we get the talent, and where do we get the capital? Well, that’s what I’ve been dealing with my whole working career. I thought, wouldn’t it be great to run a state like that—to develop talent and attract capital? Q:But you had never run for elected office. 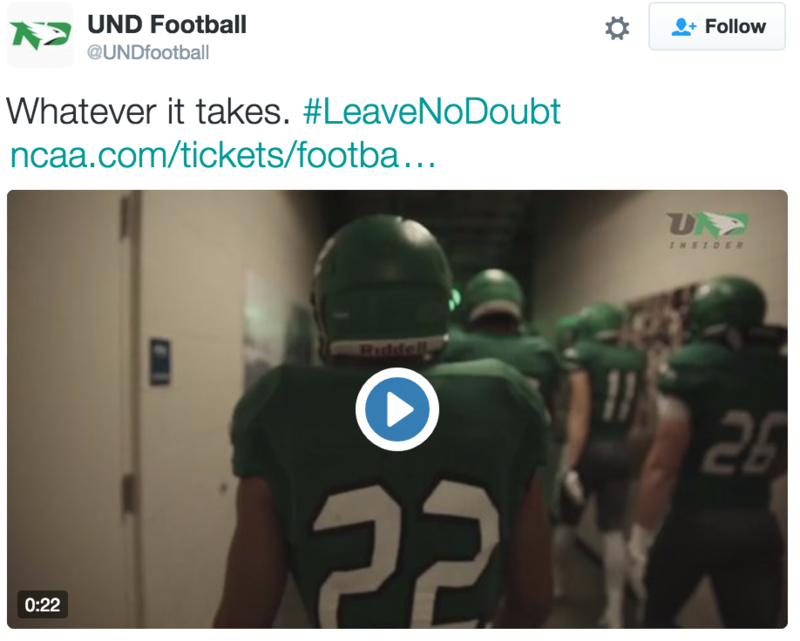 BURGUM:August 2015. Atlassian was on its final quarter before going public, and I wanted to see that through. I also had other obligations at Arthur Ventures [Burgum’s Fargo-based venture capital firm that he runs with his nephew, James Burgum]. Q:So what finally tipped you to run? BURGUM:Technology is changing every job, every company and every industry—or soon will be. The next frontiers are education, health care, transportation—and the government touches all of these things. Doesn’t it make sense to have an elected leader who gets it? So we built a campaign around a new leader for a changing economy. Q:Your first polls weren’t encouraging. BURGUM:Before we announced in January 2016, we took a poll to see what my chances were. I was down 69 to 19. But I thought, what’s five months to find out? I’ll run hard at this thing. We’ll be participating in a dialogue about the future of North Dakota. If I win the primary, great; if I don’t, nothing lost. Q:How did you run your campaign? 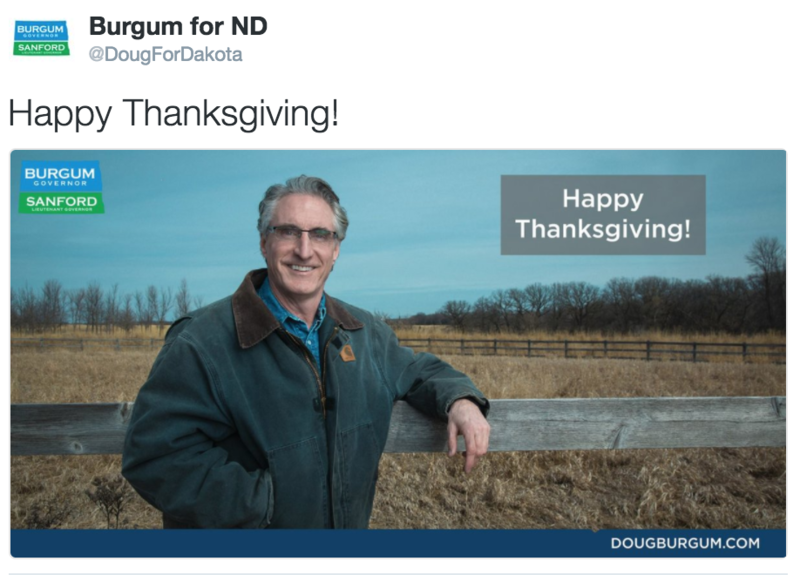 BURGUM:We went to every town in North Dakota with a population of 1,000 or more—and a lot of them were even smaller. I didn’t give stump speeches. Instead, I’d invite the mayor, the city council, the school superintendent, the person who runs the nursing home, any Main Street business leaders and whoever else wanted to come. And I’d ask, “What’s going on here?” And I filled notebook after notebook with answers and thoughts. Sometimes I’d go to a town and only 5 people would show up. But then all of sudden there were 20 and 30, and by the end there were 90 people showing up. Q:Oil prices were low, the great North Dakota boom was over. What were people telling you? BURGUM: Ag prices were down, too. I would go to these towns and I’d listen. Then I’d say that the one thing I couldn’t fix was commodity prices. However, we could diversify our economy. I’d say that if we didn’t want to be whipsawed by commodity prices, we’d have to be able to control our destinies by doing value-added ag and value-added energy and by applying technology to all kinds of businesses. So we’d talk about how to do that. And then we’d talk a lot about the efficient delivery of state services. People always tell you when they’re frustrated with government. Q:What was the level of tech sophistication in these small North Dakota towns? BURGUM: Higher than anyone realizes. Everywhere I went I’d ask, “How many of you guys have got a smartphone?” and every hand would go up. Then I’d ask, “How many of you have an app on your phone from the State of North Dakota?” I went months without an answer. The problem wasn’t the people, it was the government. Q:Did you detect a fear of technology and the future? BURGUM: Not at all. People want technology. Government has the idea that people need protection from technology-driven change. The other day I met a 60-year-old farmer who said, “I now run my 6,000 acres with two hired men, but one of them is in a John Deere tractor that’s got auto steer, auto everything.” He loves it. But then you have politicians who are fighting autonomous vehicles. Q:Digital technology has transformed oil and gas extraction. BURGUM:The miracle of the Bakken is how rapidly they dropped the break-even price. Thanks to precision drilling, you can drill 16 wells on one four-acre pad. You, therefore, need fewer roads, which is better for the environment. We need the same kind of revolution in health care and education. BURGUM:The forces of both economics and technology are unstoppable, yet institutions don’t fully grasp that. My role as North Dakota’s elected leader is to use my influence to unleash innovation. There are innovators in state government, you just have to find them and help them get freed up. Q:Health care or education? As governor, which is your higher priority? BURGUM:Education. Half of our general fund in North Dakota is going to K-12 and higher education. That’s a huge commitment for us as a state. But education needs to transform. I just read in Forbes that the U.S. has $1.3 trillion in student debt, with an 11.2% default rate, which I don’t think is going to go down. So education has to change; it has to provide a much higher ROI. Q:Therein lies the rub. Education – higher ed, especially – has an entrenched constituency that likes things the way they are. BURGUM:Yes. If you look at a university, what do you find? You’ve got tenure, you’ve got a faculty senate, you’ve got hundreds of years of tradition. There’s a sort of entitlement thing going on–the sense that because you’ve been around so long you’re always going to be around. Too many leaders in higher ed don’t feel the existential fear that they could actually go out of business. Q:So how do you instill that fear–and a sense of urgency? BURGUM:Some people come in and say, “Hey, we want to tell you about all this exciting stuff we’re doing,” but pretty quickly the talk becomes a defense of why they’re doing everything the way they’ve been doing things and why they don’t need to change. Those meetings are shorter and less fun than the ones with people who come in and say, “Hey, look, we’re up against a big challenge here, and we know we need to change. How can we do that?” You’ve got to have leaders who are willing to drive the transformation. And then you have to keep communicating with them. Q:You believe transparent data, presented simply, can solve a lot of arguments. BURGUM:Yes. My mantra about government data is: “It’s the people’s data.” The taxpayers have a right to see the data–where their money is going and how decisions are made. When you’re talking any kind of budget item, you need to show people the data. Things that look like a good idea can be very expensive in the long run. For example, new roads to expand a city sound like a good idea. But new roads also mean a new maintenance liability; roads don’t repair themselves. The data will usually show that repairing existing roads closer to the center of town is a better bet. Q:What would you consider a win after four years as governor? BURGUM:The biggest win would be in workforce development. Right now we’ve got low unemployment, but we also have 15,000 jobs open in North Dakota. That’s the equivalent of having 750,000 jobs open in California. Every one of those jobs, once it’s filled, becomes a tax contributor. So the priority of government should be in finding ways to help every private company fill every job they want to fill. Starting there will lead to all kinds of policy stuff. I’ve told my team that if we get nothing else done in the next four years but fill every job that’s available in North Dakota, that will be a huge win. Q:Final question. The Dakota Access Pipeline. BURGUM:It was potentially a very dangerous situation. You had the Obama Administration actively supporting the protest, as opposed to trying to enforce federal law on federal ground. The Administration helped create a tinder box that was ready to explode. This could have ended as a Wounded Knee, Waco or Ruby Ridge. BURGUM:I learned two things. Crowdfunding changes the nature of protests. The Dakota Access Pipeline Protest raised about $13 million in crowdfunding to pay for buses, hotels, meal vouchers. And protesters earned bonuses if they posted photographs of themselves in handcuffs. When I came into office, I met with law enforcement and said: “Look, after looking at the data, let’s all agree that we can’t arrest our way out of this.” Arrests just feed crowdfunding. Q:So what did you do? BURGUM:I brought my team down to Cannon Ball, and we invited anyone who wanted to come in and share their concerns with us. And we listened. We didn’t talk; we just listened. We started at 6pm and listened until 11:30pm. Then later we shared the data about pipelines and rivers—that in the U.S. there are 38,000 oil or gas pipelines that run through rivers. The new pipelines are incredibly well-built; it’s the old ones you worry about. BURGUM:By listening to people, you show them basic respect, and a lot of tension is removed. Then, once you show them the data—their data, because it’s the people’s data—you can have a real conversation. By John Hageman on Jan 4, 2017 at 9:50 p.m.
BISMARCK—Doug Burgum’s inauguration as North Dakota’s 33rd governor was celebrated at the Bismarck Event Center Wednesday, Jan. 4. The evening affair brought together a range of elected leaders from all levels of government. Tribal leaders also joined Burgum on stage, where Burgum and Lt. Gov. Brent Sanford listened to a drum circle from the Oakdale Singers of the Mandan, Hidatsa, Arikara Nation and received a tribal gift. More than 3,000 were in attendance at the celebration, according to estimates supplied by an event organizer to Burgum’s spokesman Mike Nowatzki. Wednesday night’s celebration was the third in the day’s public events to mark Burgum’s inauguration. A breakfast focused on substance abuse issues, while a luncheon revolved around tribal affairs. 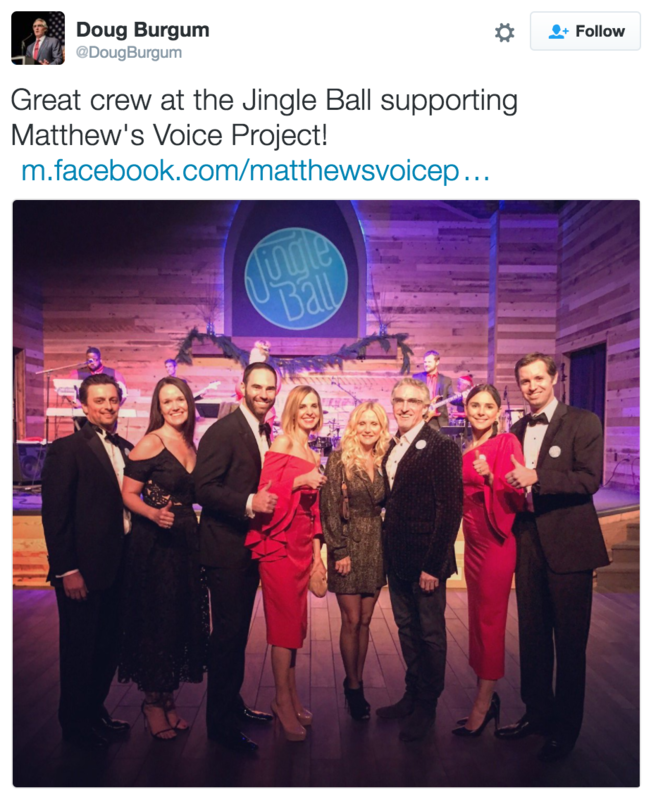 The event included musical performances from Tigirlily, a musical duo made up of two sisters from North Dakota, and Jared Mason, a former cast member of the Medora Musical who has performed on Broadway. No state funds were used for Wednesday’s inauguration events, Nowatzki said. It’s organized by the Inaugural Citizens Committee and funding comes from donations, he said. The leading sponsor of the celebration event was Whiting Petroleum, according to an event program. 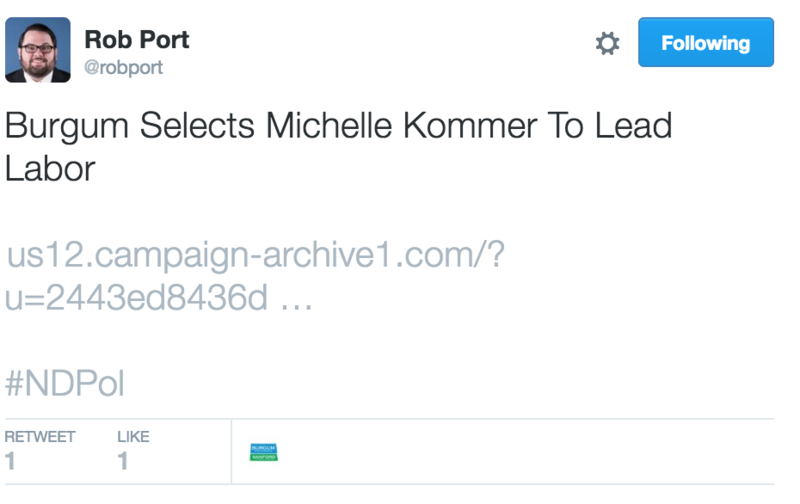 Other sponsors included Microsoft, where Burgum was an executive. 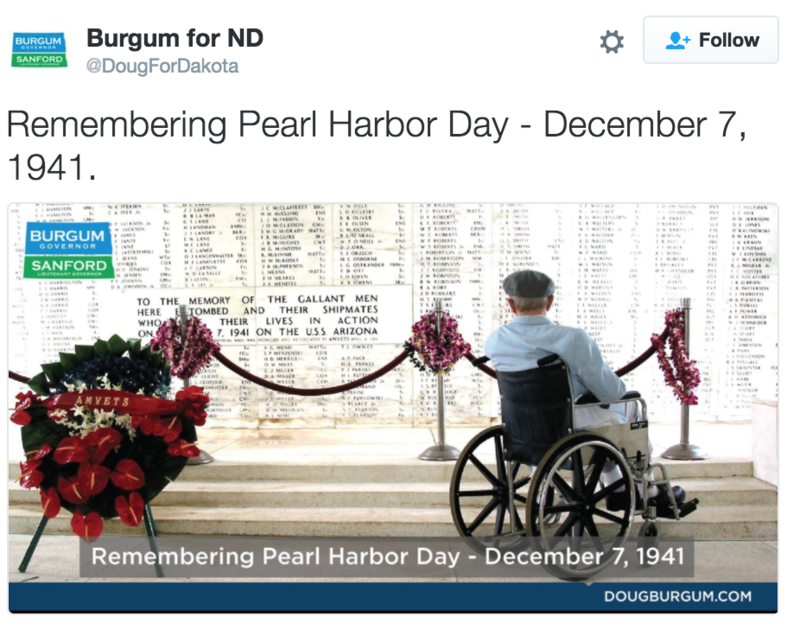 Burgum, a Republican, was elected in November after campaigning as an outsider to state government. Gov. Doug Burgum called on lawmakers to join him in his quest to reinvent state government Tuesday during his first State of the State Address before a joint session of the Legislature. Burgum kicked off the 2017 session by calling on North Dakotans to adapt to a changing world and economy. Burgum’s speech was short on details. However, he said he’ll be finalizing his budget proposals and introducing them during the first few weeks of the session. Burgum said the budget has grown sharply in the past decade and, with declines in the energy and agricultural industries creating a revenue shortfall over the past year, a correction is needed. “Right now is the time to right-size government, to balance our budget without raising taxes, to fund our priorities and do more with less,” Burgum said. A nearly $1.4 billion budget shortfall required two rounds of budget cuts last year. Former Gov. Jack Dalrymple outlined a $13.475 billion budget proposal during the December organizational session. His budget includes a balancing act between cuts to hundreds of state employee positions, replenishing state rainy day funds and a state takeover of county social services to make a 12 percent state-paid property tax credit permanent. Burgum also addressed the Dakota Access Pipeline protests and the impact on relations between the Standing Rock Sioux Tribe and the state. Protesters have been camping in southern Morton County and opposition to the $3.8 billion, four-state project has led to more than 570 arrests and millions in law enforcement response costs since August. Burgum said local, tribal, state and federal agencies will need to work together to clean up the protest camp site when the protests have ended. “Vacating the unauthorized main camp on Army Corps land — cleaning up the abandoned cars, illegal structures and human waste from months of occupation — will be a costly and time-consuming effort,” Burgum said. He told lawmakers relationships between the state and the tribes have been frayed since the protests began and they’ll take time to repair. Burgum will hold meetings with leaders of each of the state’s tribes this week. Legislative leadership also has a separate series of meetings this week. 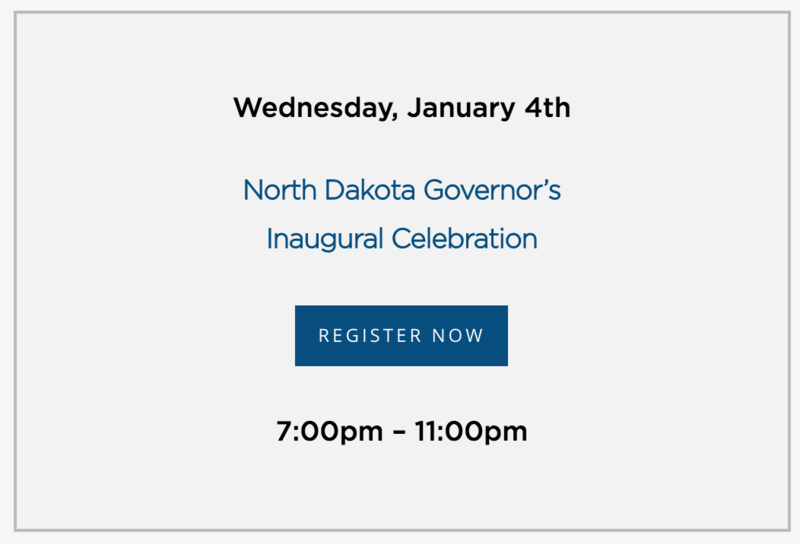 Finally, remember to visit burguminauguration.com to get your free tickets to the North Dakota Governor’s Inaugural Celebration. Follow Doug and Brent along the campaign trail at Facebook and Twitter. 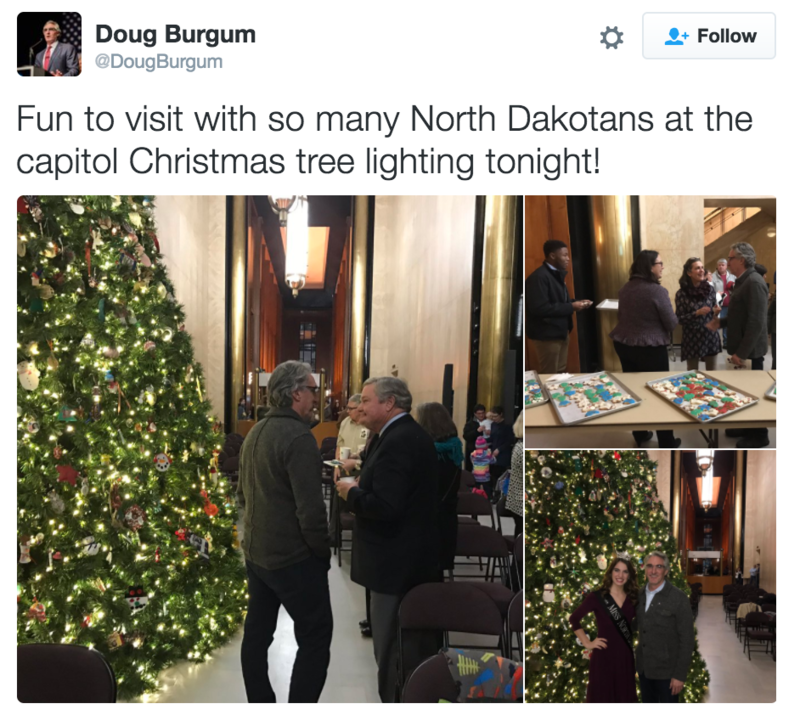 Before we turn our attention to the big football games in Grand Forks and Fargo, below is some news from the past week about how Governor-elect Doug Burgum is building out his administration. With less than 20 days until Doug and Brent take office, we wanted to make sure saw the news from the past week. 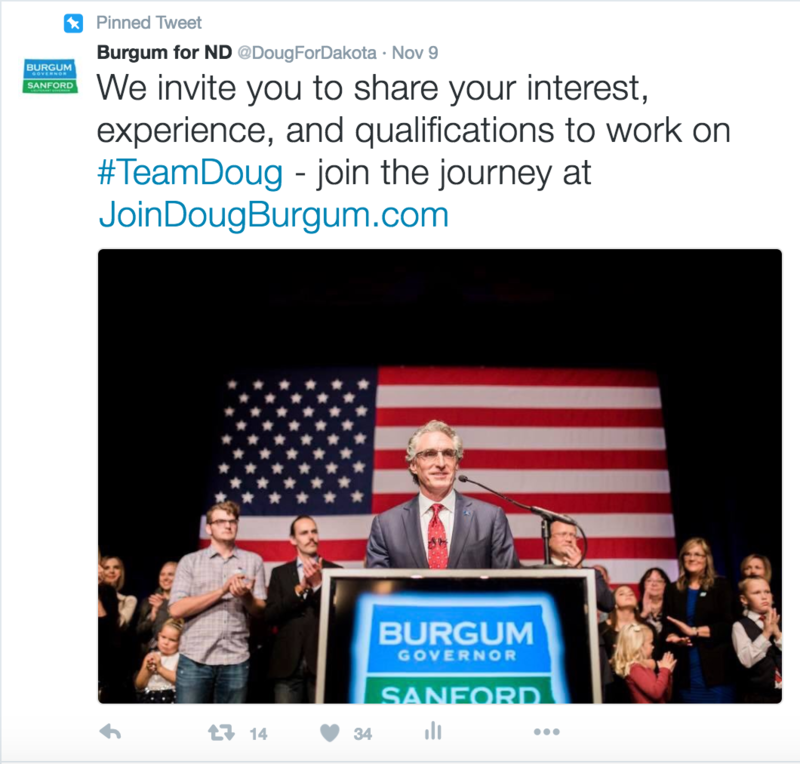 With Doug and Brent building out their new administration, you can still join the team by visiting www.JoinDougBurgum.com. 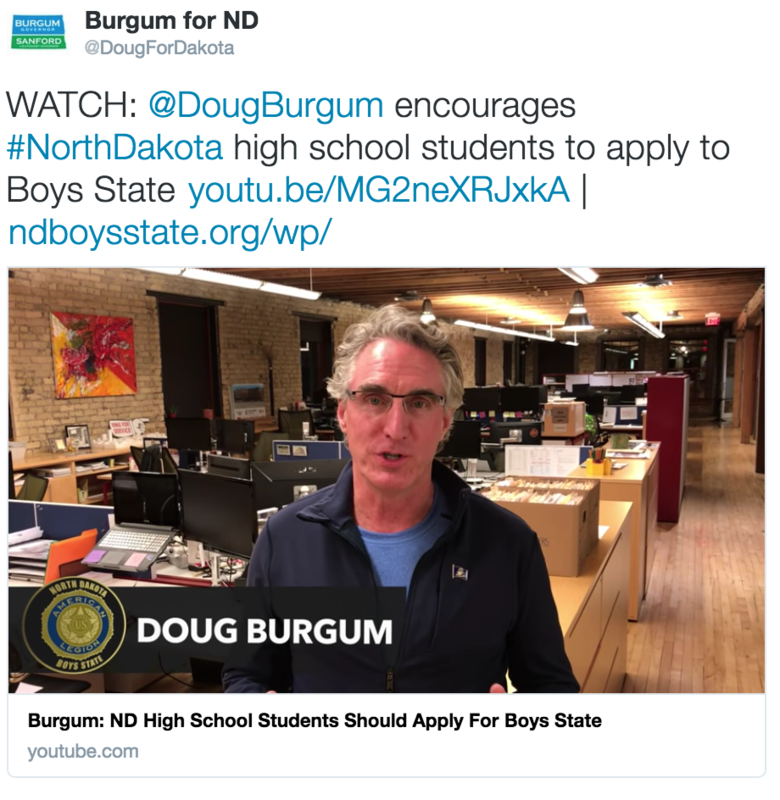 Below is a recap from the week, which includes Doug talking with Vice President-elect Mike Pence and a video encouraging high school students to apply for North Dakota Boys State.